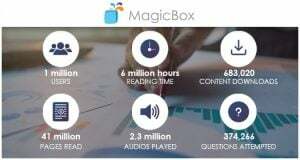 Over one million students in North America and 14 other countries have logged in to access mobile and web digital learning content on MagicBox, indicating that digital learning is becoming mainstream in the school year 2016-17. Schools are demanding that publishers deliver their digital content in mobile ready formats along with content analytics to support adaptive, personalized learning. MagicBox has partnered with over twenty publishers to deliver core academic courses and supplemental education material over web and mobile e-readers with online and offline capabilities, at a very low risk and low cost to publishers. MagicBox has gone beyond delivering just ebooks, and courseware. Recently, one of its partners has launched new generation science standard (NGSS) education product that relies heavily on game simulations to deliver immersive learning experience - that goes beyond serving schools and could potentially become a platform for many institutions like Museums and Parks. MagicBox offers analytics dashboards that provide key insights to the publishers and teachers on content consumption, while supporting adaptive learning for students. “MagicBox continues to add features to enhance the learning experience of the students without creating additional overheads for the publishers who are aggressively launching new digital and immersive education products” ,“ says Acky Kamdar, CEO Magic Software. 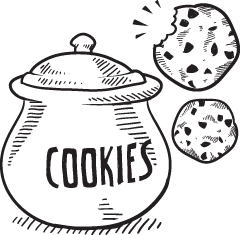 “Our client feedback has been instrumental to help MagicBox become a leader in its category, but there is more disruption coming in the next 3-5 years. Magic team is excited with the growth opportunities as new immersive content technology like AR/VR is becoming mainstream”. With 25 years in the business, Magic Software is an educational technology company that partners with the world’s leading publishers and eLearning content companies to provide consulting, platforms and solutions, rich interactive content and technology applications, and product testing solutions, across North America, UK, Europe, Australasia and Latin America. “MagicBox continues to add features to enhance the learning experience of the students without creating additional overheads for the publishers ,“ says Acky Kamdar, CEO Magic Software.